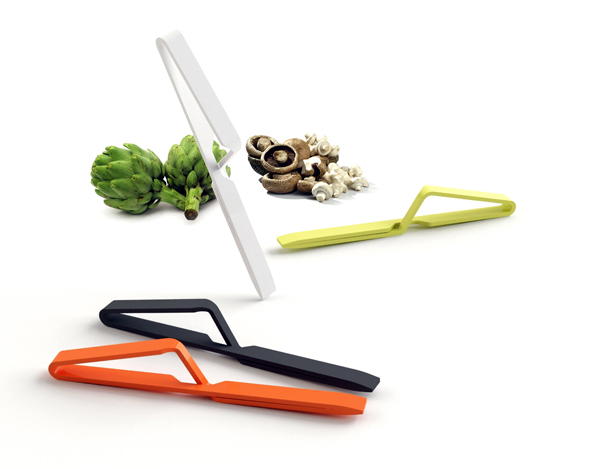 The Kitchen Tweezers (obvious inspiration) are a modern reinterpretation of kitchen tongs that solve the main problem with the former design’s lack of spring, making them much more efficient and easy to use (not to mention way better looking!). 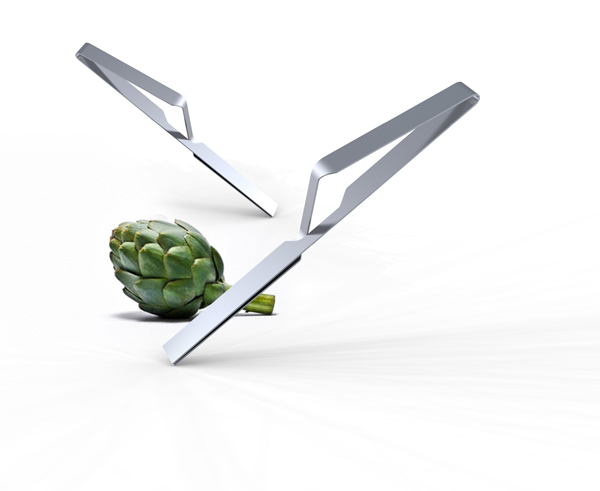 The minimal, seamless design can be cut from a variety of materials that have tensile strength. Personally, I’m digging the raw solid wood and carbon styles!